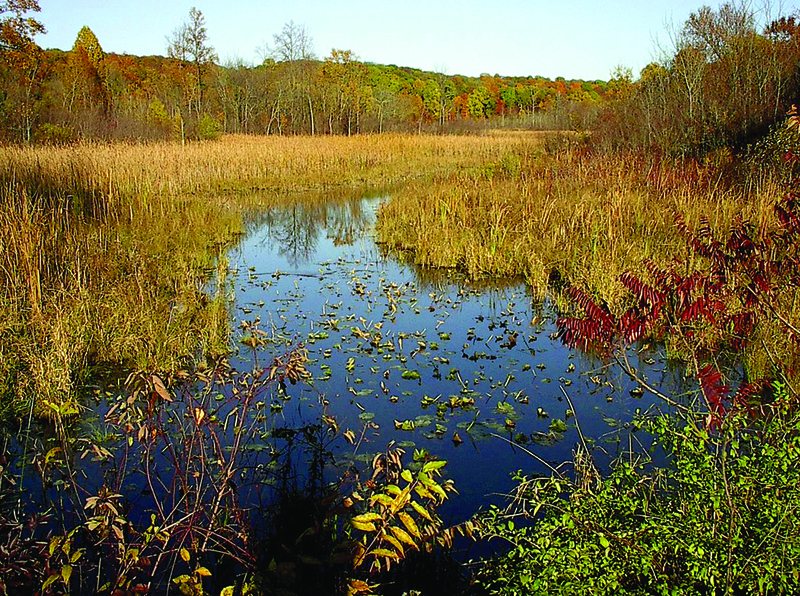 Maintaining BRV’s biodiversity calls for a number of habitat enhancement initiatives. 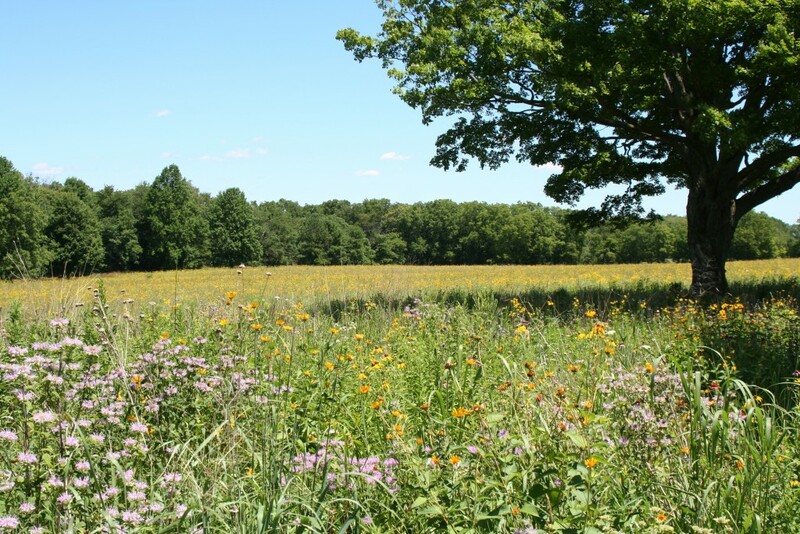 Among these is the restoration of prairies, which were once widespread in southern Michigan until the 1800s when European settlers converted this ecosystem to agricultural land. Experimental patches of prairie grasses were started at BRV in 1994, and today the foundation has about 200 acres of prairie land, with about 100 different species of grasses and flowering plants. “Prairie grass provides important food and cover for wildlife, including many grassland birds,” points out Jay Suseland, manager of grounds maintenance. “The wildflowers that flourish in prairies also serve as a food source for insects, which provide food for other species using the habitat. 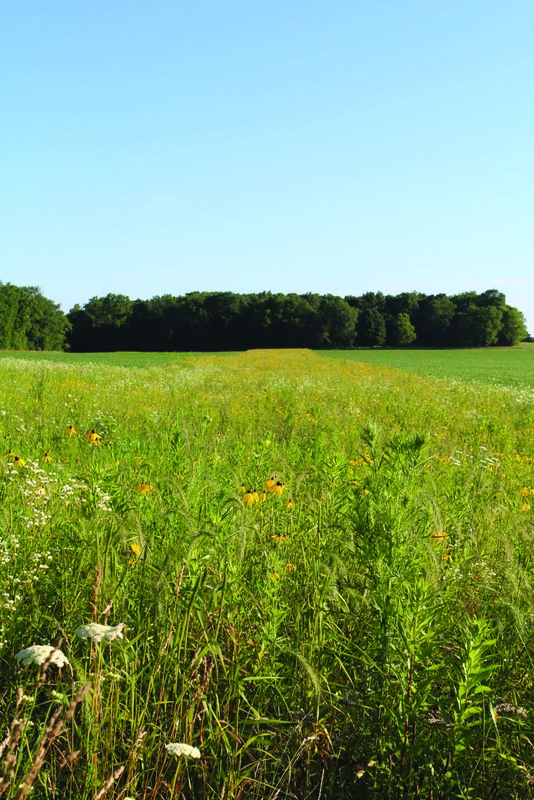 Cropland can become depleted of nutrients over the years, and the foundation’s land stewardship team is using strips of conservation prairie in the interior of its agricultural fields to make soil more productive. In contrast to crops such as corn and soybeans, which have fairly shallow root systems and are only green part of the year, native prairie grass roots grow as deep as 15 feet and are perennial plants. This increases the ability of soil to absorb water, reducing runoff and wet conditions. Other benefits include more oxygen delivered to soil, increased organic matter and greater carbon sequestering. In addition, prairie grass harbors many important predator insects that can help control aphid infestations in adjoining crop fields. 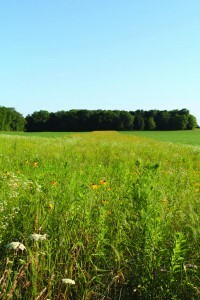 The 80-foot strips of prairie will be plowed every seven to 10 years and then adjacent sections will be planted. In the meantime, the soil should become greatly enhanced. 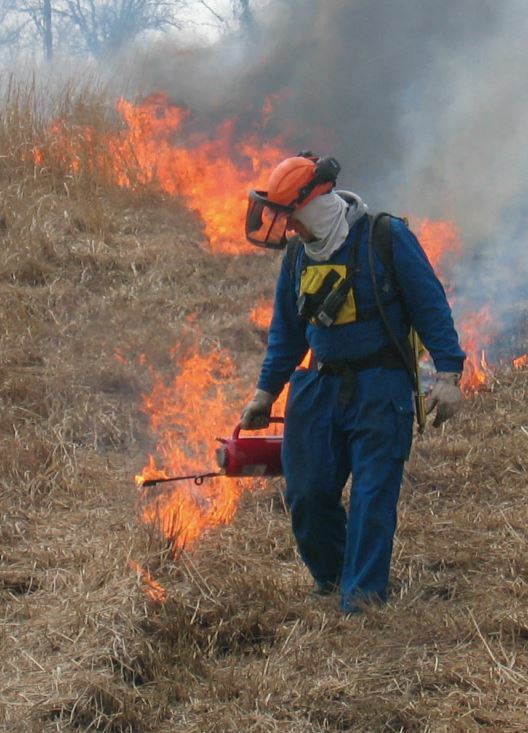 Reducing buildup of dead vegetation that can feed catastrophic wildfires. Stimulating native plants while retarding invasive plants. Improving the habitat for many wildlife species. 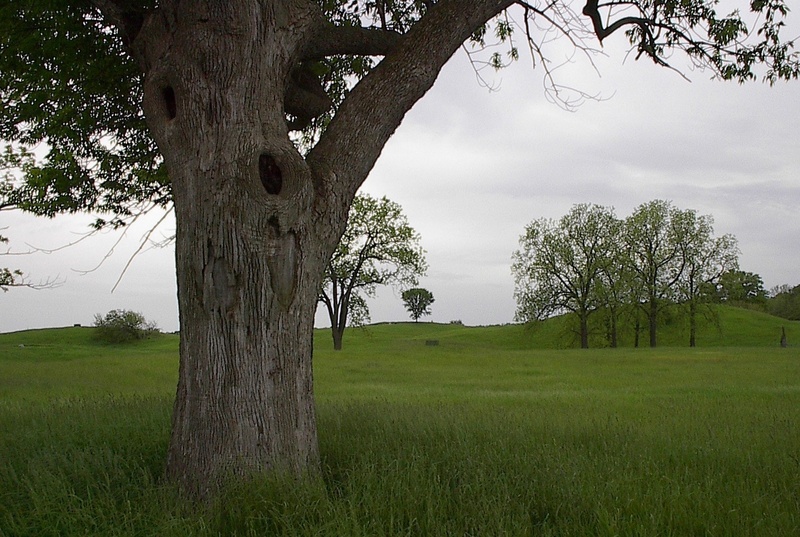 Controlling brush and woody species that compete for nutrients. Releasing nutrients back into the soil. Similar to old-growth forests and prairies, savannas are another disappearing ecosystem that the foundation is trying to restore. A mosaic of open grassland and scattered trees (ranging from four to 50 per acre), savannas serve as the primary habitat to many animals, including redheaded woodpeckers, a species of special concern.